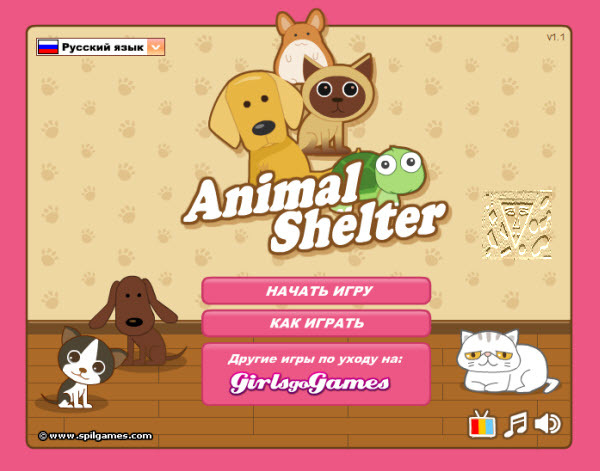 Description: Find new homes for all the cuddly critters in your care! How to play: Use your mouse to select animals and whether to give them food, medicine, play with them, or look at their information. Click the icons on the bottom of the screen to open the menus for advertising, shopping, your inbox, and your agenda. Keep all the animals happy and advertise them to get them adopted!